Join us on Saturday December 15th between 10am-5pm for our Holiday Craft Fair. We will have a great range of hand-made artisan goods for sale to fill stockings and celebrate the holidays. All our welcome, admission is free. At the studio, 12919 Nutty Brown Road, Austin. 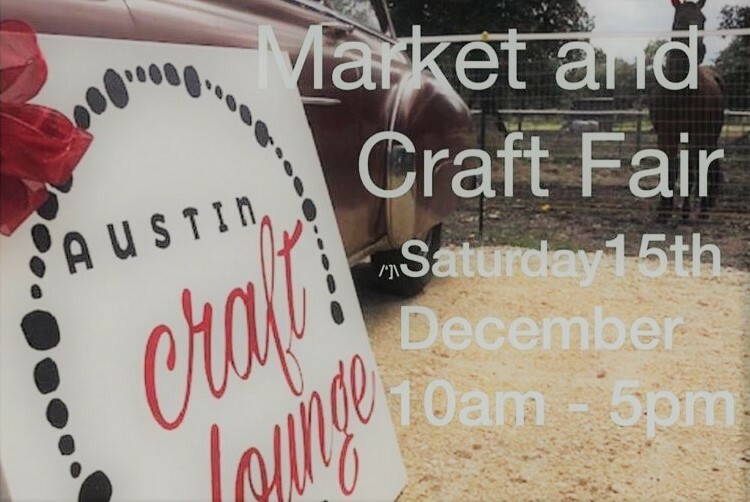 Artisan vendors, crafts, mulled wine, snacks, door prizes. Featuring: La Luna Glass Suncatchers, Bag in the Day, Traveling Bistro Food, NoonDay, Color Street Nails, Ekiss Pottery, CountryStar Art, Kuki Bastos Photography, Peridot Park Jewelry, Chic Gypsy, Hill Country Hoopla, CeramiKaster, Sea to Sea Stampin.